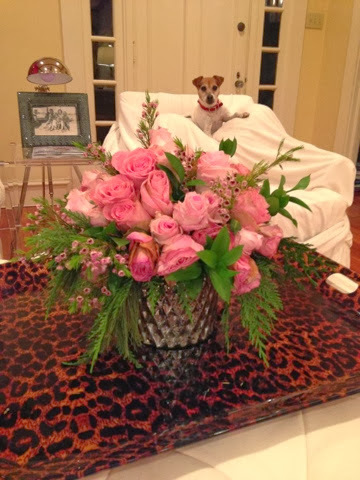 If you were on Facebook yesterday you might have seen my frantic post about my Momma's beloved Jack Russell going missing. Thankfully she was found last night by a sweet new neighbor in my Momma's neighborhood. I cannot say thank you enough to all of you who shared and liked the post on my Facebook page. In my family, animals are more than pets. They truly are a part of the family and have a lasting impact on our lives. I have had the great fortune to grow up surrounded by some incredible four legged friends and whenever you lose one (whether in death or if they actually go missing) it is devastating. Luckily yesterday's ordeal had a happy ending, and Jackie is happy and home on her big white chair! While in Texas I ate up the Mexican food. 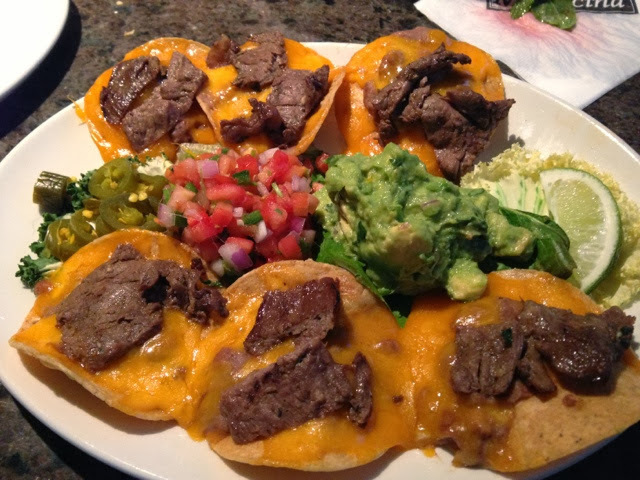 Tex-Mex is da best! I will go into more detail on this later but this is a game we always play at Papa's house. 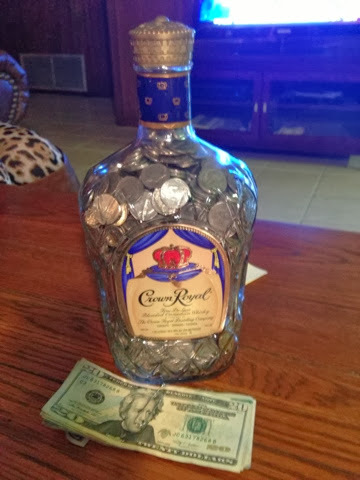 Can you guess how many nickles and dimes are in that bottle? 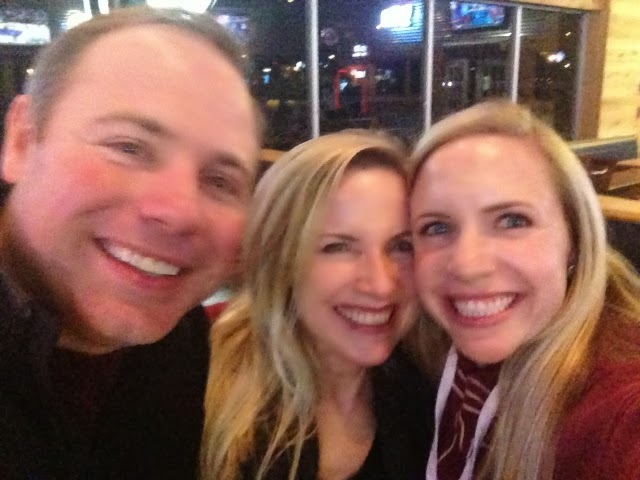 A blurry but very happy pic after the Aggies beat Duke on New Year's Eve. This very well could have been the most exciting/stressful game of my life.